Yoga is a great way to detox, de-stress, and get a work out at the same time. It's also perfect to do from the comfort of your own home, since all that's typically needed is a few metres of space and a soft floor/mat. You can even summon a yoga teacher at any time of day, thanks to the wonder that is YouTube! I've gathered some of my favourite channels for you to take a look at. If, like me, you quiver slightly at the idea of doing exercise - especially new forms of exercise - in front of other people, YouTube workouts could be for you. Or, perhaps you simply want to get a home workout in between classes/gym sessions. Youtube is a gold mine of instructive home workouts, which means you can try out new activities, teachers and classes for free. If it turns out they're not for you, then nothing's lost! This is what prompted me to look into YouTube yoga. I'd been wanting to give yoga a try for a while, but I was terrified of going to a class for the first time and looking like a total fool. Plus, I just wanted a quick way to get a light workout at home. 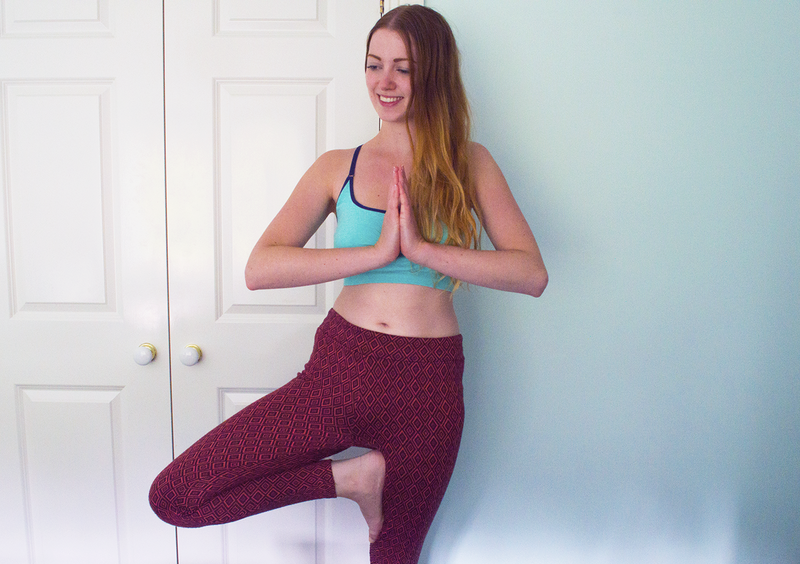 After a bit of trial and error, I soon found a few yoga channels that were perfect for me. Take a look at some of my favourites below! This is my go-to yoga channel. Adrienne is funny, encouraging, and not afraid to make herself (or us!) look silly. She has a wide variety of videos suitable for all levels, but her "30 Days Of Yoga" series is a great place for beginners to start, or for anyone to just check in if you want to get into a daily routine. Adrienne has a knack for keeping it light-hearted and fun, and for those of you worried about yoga being too "spiritual" or "preachy", this is the perfect channel. I mentioned that yoga can sometimes come across as too "spiritual" for some people (I once happened upon a video that encouraged you to chant throughout... it wasn't for me), and PsycheTruth can err on the side of that. The channel itself focusses on different aspects of fitness, but personally I love Erica Vetra's yoga series. Like Adrienne, her explanations of poses and movements are thorough and clear, but she doesn't take any of it too seriously. Erica also likes to go off on a tangent sometimes when you're holding a pose, telling a story or an anecdote, which I find actually helps me to stay focused and keeps the practice entertaining. Also look out for guest appearances from Stella the cat. I couldn't have an entirely female list! Tim's videos are slightly different, favouring a voice over rather than talking us through the steps as he does them. This is just as effective, though, and results in more of a relaxing atmosphere, accentuated by his calming voice. Tim also likes to shoot his videos in interesting locations such as beaches and piers, meaning sometimes there are things going on in the background, which adds a nice dimension - yoga and people watching, double win! Do you also love a good YouTube yoga workout? Have you come across other channels that you prefer? Drop me a comment below! i've been into pilates (with blogilates) for quite some time but have never found the perfect yoga youtube channel for me. this post has been extremely helpful and i will definitely be looking through these channels in more detail. i really want to build on my mindfulness before heading off the university in two weeks. thank you so much!